Published: June 9, 2016 at 12:45 p.m. Updated: June 9, 2016 at 01:09 p.m.
College Football 24/7's "16 for '16" series continues with a look at the most versatile players in the nation. Every college football team has its own version of a Swiss Army knife, but the players in this group stand out to us with unique skills -- some of them play on offense and defense -- that will help them make a big impact this fall. The Scarlet Knights' dynamo delivered touchdowns in four different ways last year: Three on kickoff returns (which led the Big Ten), one as a receiver, another as a passer, and yet another on a punt return. His 1,583 all-purpose yards led the team, and he was second only to Miami Dolphins draft pick Leonte Carroo in receptions (35). Given that, Grant's role in the offense is primed for expansion this fall. From strictly a production standpoint, Hunter doesn't have the numbers of most listed here, but there is no doubt coach Brian Kelly can do a number of different things with the son of the former Minnesota Twins center fielder. He made 28 catches for 363 yards a year ago. He also got a few carries out of the backfield, attempted three passes and even played a bit of defensive back in a pinch. He will be counted on much more heavily this fall. In spring practice, he looked up to the task. Naturally, he's a member of the Fighting Irish baseball squad, as well. The trail of positions Liggins has left behind at the college level -- including his years at Northeast Mississippi Community College -- includes defensive end, tight end, offensive tackle and quarterback. The Rebels have used him primarily at tight end and as a short-yardage quarterback, but with both of Ole Miss' starting offensive tackles from last year exiting the program via the NFL draft, it looks like he'll finally settle at offensive tackle himself this fall. But with a 300-pounder who has played so many spots, never say never. A defensive back and a defensive end, in one player? The Seminoles' biggest young star on the defensive side of the ball is primarily a safety, and an outstanding one. But here's what FSU star offensive tackle Roderick Johnson had to say about James' spot role as a defensive end: "When he comes off the edge, he's coming like a missile. I'm just speechless ... He's much quicker [than defensive ends], very explosive and he can turn from speed into power just like a regular defensive end." James can also play nickelback if needed. King is one of the nation's elite defensive backs, but it's his additional impact and impressive emergence as a return man in 2015 that merits his inclusion here. King returned both punts and kickoffs for the Hawkeyes last year, handling the team's primary role in both respects for the first time in his career. Outcome? His 14.2-yard average on punt returns ranked No. 7 in the FBS and No. 2 in the Big Ten. In Adams, the Bruins have a proven cornerback who can also return both punts and kickoffs. So why not try him on offense? This spring, UCLA moved Adams to wide receiver, giving promising QB Josh Rosen a much-needed explosive target after the team lost a lot of receiving experience from last year's team. Although Adams could make a clean break from defense, good cornerbacks are too hard to find to assume he won't be pressed back into defensive duty at some point, for injury reasons or otherwise. The smallest member of the Horned Frogs' 2015 freshman class made an impact that was anything but small. Turpin led TCU's prolific offense in all-purpose yardage at 128.8 per game, a total he compiled four ways: rushing (116), receiving (649), punt returns (181) and kickoff returns (729). He even threw a couple passes. With Josh Doctson and Kolby Listenbee now in the pro ranks, Turpin's role should expand. If he can handle more touches at such a small size, TCU's offense will be all the more diverse for it. If you forgot about Ross because he missed last season, consider this your reminder. While Shaq Thompson was making headlines as a two-way player for the Huskies in 2014, Ross was quietly doing a fine two-way job of his own. He led the team in receiving touchdowns (4) and yards per catch (21.8). He also made 16 tackles, an interception and broke two kickoff returns for touchdowns. He'll be at receiver this fall, but he's more than proven himself as one of the nation's most unique talents. And the knee injury that cost him 2015? Consider it healed. The ACC Rookie of the Year walked in as a true freshman last year and led the team in tackles (109) by a margin of 21 stops. Whitehead got a late-season look on offense, too, and ended up leading the Panthers in yards per carry (10.2), albeit on just 12 rushes. In the spring, Whitehead got reps at both of Pitt's safety positions. It's a testament to Nelson's versatility that the Oregon coaching staff hasn't quite even figured out what it wants to do with him. He made starts on both sides of the ball in 2015, most of them at cornerback. Throw in nearly 900 yards in kickoff returns, including a 100-yard touchdown against Arizona State, and Nelson is as well-rounded as they come. On the All-Pac-12 team, it was Nelson -- not USC's two-way star Adoree' Jackson -- who was slotted as the first-team "all-purpose" player. It's one thing to start on both sides of the ball in a season; it's another to start on both sides in the same game. Likely did just that against Wisconsin last year, though his primary position is cornerback. On special teams, he led the entire FBS in combined return yards (1,197). It's tough to say how much time Likely will see on offense this fall given that the Terps have a new coach in DJ Durkin, but Likely has proven he can do whatever is asked. The Aggies' explosive wide receiver took the SEC by storm last year, vaulting himself to the top of one of the nation's deepest and most talented receiving corps. Along with breaking the 1,000-yard mark as a receiver, Kirk took 11 carries out of the backfield and, as a punt returner, averaged a whopping 24.4 yards with two touchdowns. Also the team's leading kickoff returner, Kirk's ability in the open field demands as many touches as TAMU coach Kevin Sumlin can get him. Two years ago, Ward served in a most unusual capacity -- he started five games at wide receiver and eight at quarterback. But now that he's settled squarely into the Cougars' quarterback role, Ward is still showing off prolific versatility with his rushing skills. 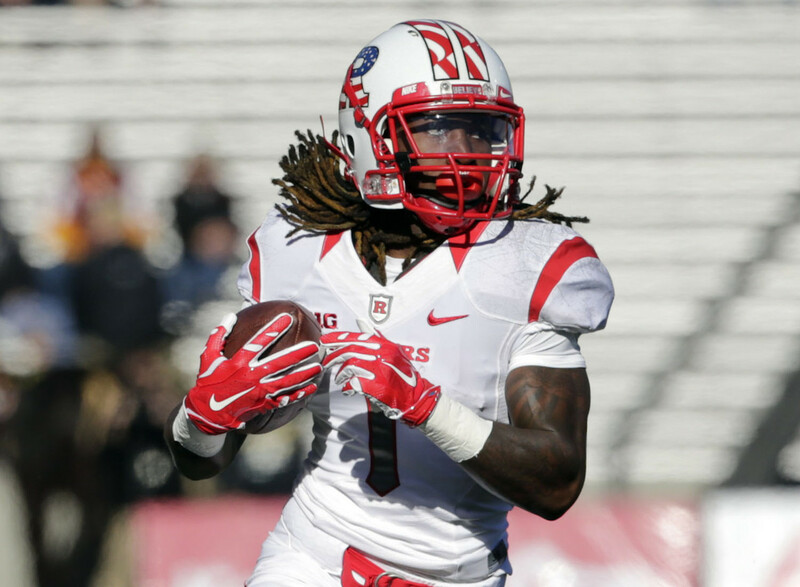 He passed for 2,828 yards last year and rushed for 1,108 to lead Houston to an AAC title. With Myles Jack now off to the NFL, Jackson becomes the most high-profile two-way player in the college game. Once again, he'll primarily play defense this season, but expect him to once again be dropped into the offense at times. He's also one of the most explosive return men in the game, handling both kickoffs and punts for the Trojans. He played 971 snaps last year, including 157 each on offense and special teams. Few players perform as many different roles as McCaffrey does for the Cardinal, and last year, nobody did so with as much production. With yardage aggregated from rushing, receiving, punt returns and kickoff returns, the Stanford star broke Barry Sanders' NCAA record for single-season all-purpose yards in 2015, setting the new mark at 3,864 yards. He won the Paul Hornung Award as the nation's most versatile player and returns as a junior to once again light up the Pac-12 in as many different ways as possible. Nobody can say Jim Harbaugh doesn't explore every possibility with the biggest star on the Wolverines' roster. He can play multiple spots in the secondary. He can play running back or receiver on offense, and return both kickoffs and punts. Direct snaps? Been there. Pass attempts? Done that (once). As for the coming attraction this fall, if spring practice was any indication, Peppers will be seeing plenty of action at a hybrid linebacker position.